St. Ignatius Loyola is a Catholic School that lies in the rolling hills of Warren County. 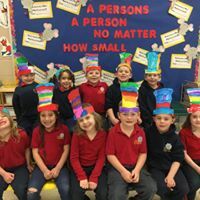 Our families, both Catholic and non-Catholic, appreciate the spiritual foundation and individualism provided to each student. The small-school atmosphere provides an individualized focus and opportunity to learn at one’s own pace. Our multiage classroom environment, which studies have shown to be an asset to students, is one of the best in our area. Our caring staff of certifies professional teacher work well together to create an excellent learning environment. St. Ignatius students have the opportunity to attend Mass regularly and experience Christ-center curriculums where your moral principles and values are reinforce in the classroom daily. Please contact us today to set up a tour.